The ultra contemporary styling of the Giorgio combines the best of both worlds, for outdoor furniture: Bold styling and impeccable material selection. 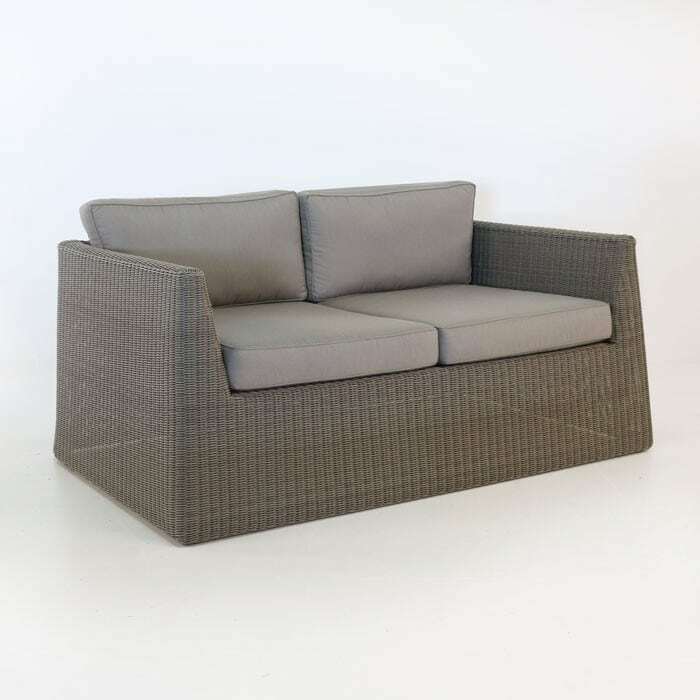 Made with Ecolene® synthetic outdoor wicker and built on a frame of aluminium, this gorgeous deep seating collection is lightweight, fun and offers incredible luxury and comfort. Ecolene®’s Kubu variation is a beautiful, natural grey colour, giving a perfect harmony between colour variances allowing you to match this collection to any outdoor space. The super wide stance makes these lightweight pieces feel incredibly stable and gives an added feeling of a more monolithic nature. It’s as if the furniture was created in the place they sit, and yet, they are lightweight enough to be easily moved by just about anyone. 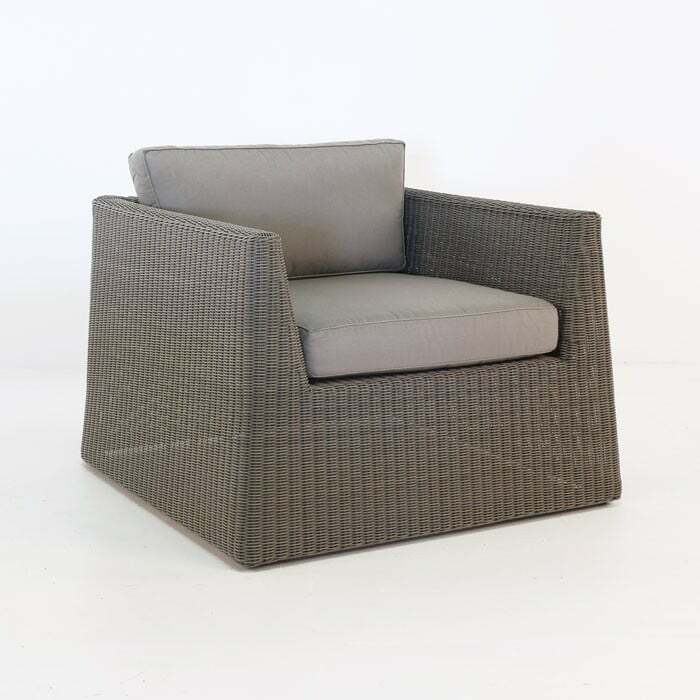 The Giorgio gives the European styling you’ve been desiring for your outdoor space, with the high quality materials and construction you’ve come to expect from Design Warehouse. It’s contemporary, bold, beautiful, comfortable, and available now! Available pieces in this collection include the Sofa, Loveseat and Lounge Chair.